A quick tip this time, a couple of weeks ago working for my customer I noticed that the App Config configuration designer for Android is exposing configuration options that are available in the apps. Microsoft is supporting Appconfig already for a very long time, but now it is much easier to use it. After adding an app called Workday or Outlook via Managed Google Play, you can configure the app via App configuration policies. By choosing Managed devices as the Device enrollment type, you can associate an app to the policy. 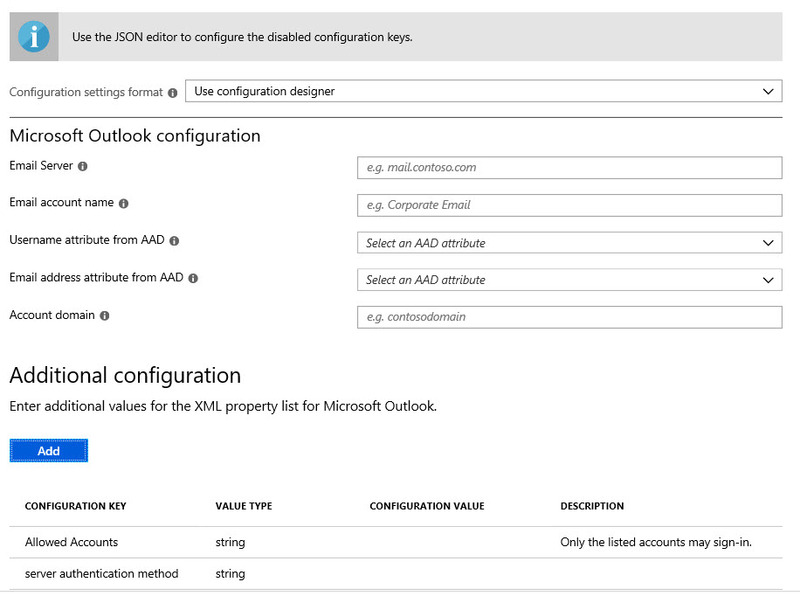 To configure settings you can access the configuration designer which shows options like shown below. You do not need to figure out the configurable variables anymore. Life made a bit easier this way! 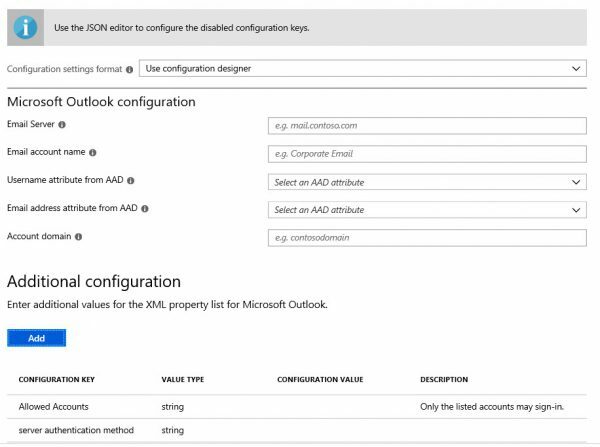 Note: for iOS appconfig via the configuration designer is also available for at least Outlook.